Make your business proposal water tight for confirmed success. Investors are a sceptical lot. They need facts supported by lots of data to be convinced about the feasibility of the investment. After all, it is their money and they have a right to question each and every step your business proposal report proposes. Exaggerated and over the top claims would be caught out by the experienced investors and hence it is best to avoid these. It is natural that you are questioned about each and every step outlined in the business proposal. You need to come through with your dynamic attitude and confidence supported by data and market research. Your convincing abilities and the qualities of your team would be put to test here. Business proposal report has to be impressive and viable with attainable goals. Investors can seem interested in the project for short term gain spree or they can remain in project for reaping long term benefits. Your attitude and clarity of goals would be able to unlock investment funds. They would want in detail the goals of the business that has been established or for a start up business goals that you plan to establish as well as how you plan to attain these goals. 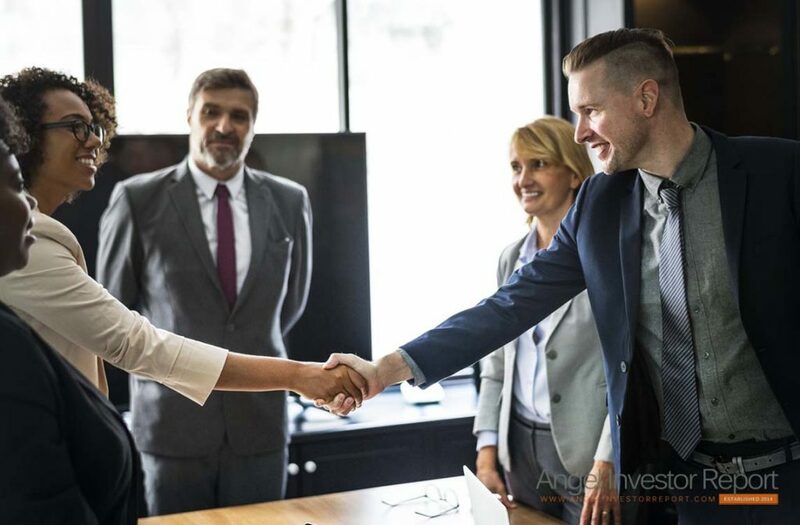 All steps and contingency plans need to be elucidated and explained for prospective investors to feel some confidence in the business proposal. Apart from the growth strategies, business models and market competition, scalability of the business also has to be given due importance in your business proposal report. Scalability refers to the increase in volume that can be attained in the business without having to bring about significant increase in new recruits. The sales and reach of the proposed business product or service should be increased by means and medium without having to hire lot of people to bring about the same. A classic example is that of the use of internet for scalability. Internet promised huge access to a wider network of customers and to various parts of the world. Such a medium played an important role where access to the business product or service was concerned. It did not require many new recruits to be put into action. It was quick and efficient. All medium succeed for some business and prove to be a failure for others. Thus internet was revolutionary for businesses like travel and on-line auctions while proved to be less efficient where businesses involving toys, food etc. were concerned. The ideal situation is for the business product or service to be accessible to local, regional and national customers. Thus continued and repeat customers are necessary for the success and growth of a business. Increase in volume of business would ensure an unlimited customer base. A business proposal that does not define or is unable to define its scalability would seem like that it lacks possibility for growth and hence would not go down well with the prospective investors. Besides, you might have to show them the profit potential and feasibility of long range goals for demonstrating the viability of business proposal. Your business proposal must address issues such as who are the customers, how can you ensure that the customers are there, how do you plan to connect with them, how is the market competition, what skill sets you possess to combat the competition? Etc. To go about getting answers for all this is by conducting a personal survey of the market rather than rely on external survey reports. To start on this path you first of all would need to identify customers. Conduct a survey of your business product or service. If it is possible you should go ahead and make your product and then conduct the customer survey. People would be able to provide a better feedback if they can see or use the product first. The data collected can be your own personal research of the market. This would have actual figures and hence would be more appreciated. Prospective investors would get a gist of your test-marketing initiatives as well. Next, you need to follow up on selling your product and keeping in touch with them. Your business needs too have its goals and time period for each goal outlined. How you plan to connect with customers in the local area and slowly expand to regional and national level is contact is important. Retail channels, web, direct mail or combinations etc. have to be decided and demonstrated. Keeping your customers connected can be done through standard practices but these would need detailing for an investor. Repeat sales is another aspect of scalability of your business product or service. This is definitely the best form of revenue models. Evidence to support customer buys repeatedly over a long time can act in your favour. Your research on customer behaviour and channels used for communication be of use here. This is the place where you need to demonstrate the skills and experience possessed by your team. Business teams with a good management skill set are generally considered to be safer. Having a super salesman on board can be that ace you are looking for to win this round. Proven sales ability of your team can be comforting to prospective investors. Investors try to gauge if you are aware of the extent of competition in the market and try to find out about the competitors. Competition is present for all kinds of businesses and it is in better interests to find out about them and accept it. Potential investors might be worried if you have claims of no market competition since it can imply that your business proposal could be a failure since nobody else had succeeded. Walk into the meeting with potential investors with a positive attitude and belief in your business proposal. A negative attitude can be reciprocated with a same attitude. Thus believing in your product and demonstrating its viability is of utmost importance. Be prepared to answer all their questions supported by evidence and enough data.